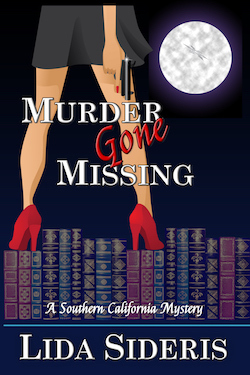 Another sharp, fun mystery with all the right ingredients from Ms. Sideris…the book sparkles with great dialogue, an intriguing puzzle, plenty of suspects and danger. I loved it! BOOK CLUB QUESTIONS: 1. What was your favorite passage and why? 2. Do the characters seem real? Who was your favorite character and why? 3. How important was setting to this novel? 4. Agatha Christie wrote of her dislike of mysteries having a romantic subplot. Do you agree or disagree with her views? Did the romance aspect take away from the mystery or enhance it? 5. Were you able to predict who the killer(s) was? Was the motive plausible? 6. What is heroine Corrie’s strongest characteristic? Her weakest? Does she seem realistic? 7. Corrie seems fearless on the surface, but is she? 8. Does Corrie grow and change by the book’s end? Or is she hopelessly stuck in her ways? 9. What do you think of Corrie’s parents? 10. Does the humor add to or take away from the story? 11. What did you find most humorous? The characters? The plot? Or the dialogue? 12. Did the humor or wit help move the pace along or slow it down?